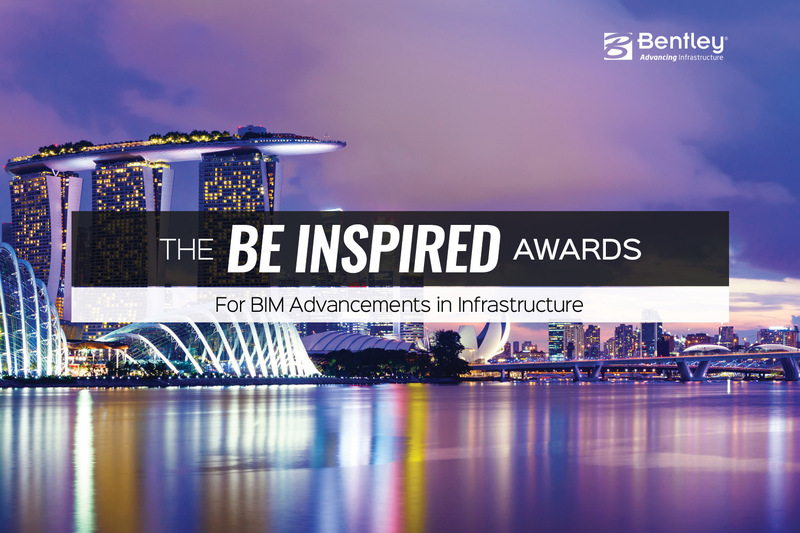 Singapore — At the Year in Infrastructure 2017 Conference, Bentley Systems, Incorporated announced the winners of the 2017 Be Inspired Awards. The annual awards program honors the extraordinary work of Bentley users advancing the world’s infrastructure. At a ceremony and gala closing the conference, Bentley acknowledged 17 Be Inspired Awards winners and six Special Recognition Awards winners. The Year in Infrastructure Conference is Bentley’s annual global gathering of leading professionals in the world of infrastructure design, construction, and operations. In addition to thought-provoking keynotes, technology demonstrations, industry forums, and panel discussions, the agenda included presentations by finalists in the Be Inspired Awards program, culminating in the selection of the winning projects. This year, 10 independent panels of jurors, comprising distinguished industry experts, selected the Be Inspired Awards winners from 51 project finalists. These finalists were chosen from more than 400 submissions by organizations in over 50 countries. Projects receiving Bentley’s Be Inspired Special Recognition Awards are uniquely innovative and demonstrate visionary achievements that transcend the narrower focus of the standing Be Inspired Awards categories. These projects were reviewed by a panel of Bentley executives, who evaluated them based on the criteria established for each award. Bentley Systems posted highlights of this year’s winning projects at https://www.bentley.com/en/yii/video-gallery. Detailed descriptions of all nominated projects in the print and digital versions of its 2017 Infrastructure Yearbook, which will be published in early 2018. To review the past editions of this publication, which together feature more than 3,200 world-class projects recognized in the Be Inspired Awards program since 2004, access Bentley’s Infrastructure Yearbooks at https://www.bentley.com/en/infrastructure-yearbook. Previous ArticleIf you could easily associate application use to individual projects, would you?